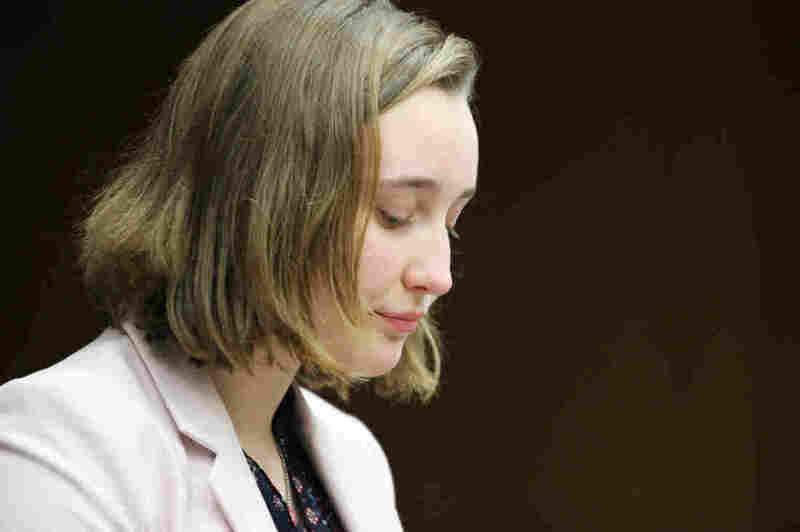 The Parents Who Were, Unwillingly And Unknowingly, Witnesses To Their Children's Many parents were in the room when Larry Nassar abused their daughters. They had no idea it was happening. That's because Larry didn't just manipulate his victims, he manipulated their parents, too. Even now, the parents of survivors question how they could have been deceived by Larry Nassar. 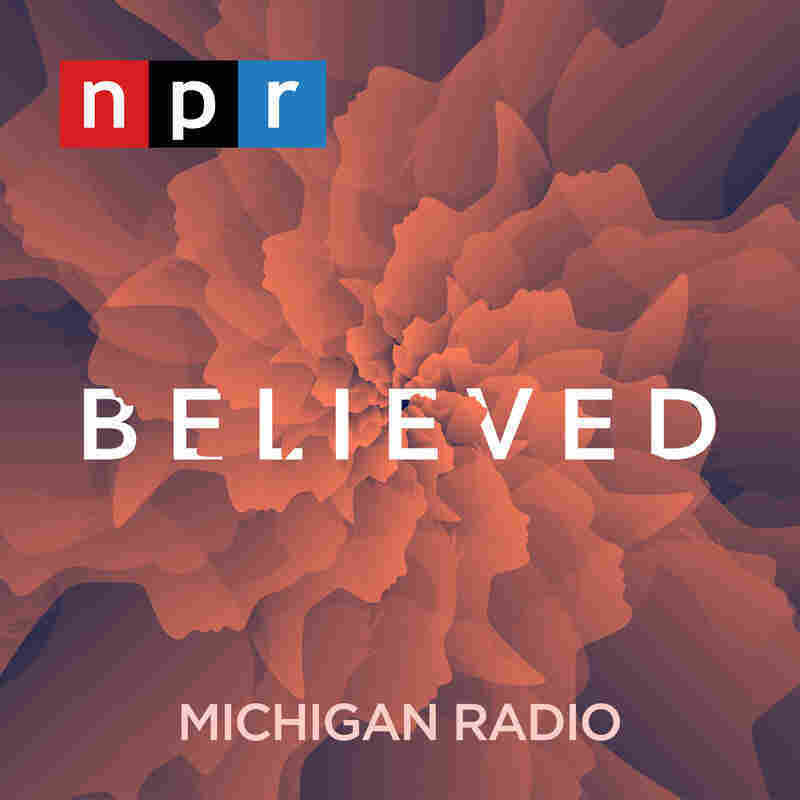 Believed is a podcast produced by Michigan Radio and distributed by NPR. You can follow Believed on Twitter @believedpod. After Rachael's story came out in September 2016, police started getting more complaints about Larry. Within two weeks, another 16 women and girls had come forward. By November, Larry was charged with sexually abusing a child under the age of 13. Even then, many wondered: How could the parents of these girls have been in the room while Larry abused their child – and not know it was happening? For their part, the parents are asking themselves the same question. They've seen all the comments online: how the parents are to blame; how they must have been so obsessed with their kids' gymnastics careers that they just looked the other way. And the moment Rachael Denhollander spoke out publicly about her abuse, their lives changed, too. Suzanne Thomashow remembers showing her daughter, Jessica, the IndyStar article. Suzanne remembers Jessica reading it and then saying, "Mom, that's what he did to me." Suzanne says, "That was when we figured it out. That was when she figured out that she'd been assaulted." Suzanne Thomashow has three daughters: Amanda, Katherine and Jessica. Suzanne's oldest daughter, Amanda, is the one Larry assaulted in 2014. The one who reported Larry to MSU, after which MSU cleared him to go back to work. Before any of that happened, Suzanne's youngest daughter, Jessica, had also seen Larry for treatments. But when Amanda told her mom Larry Nassar assaulted her, Suzanne didn't even think to ask her daughter Jessica if Larry did anything to her. "When Amanda was assaulted, I thought it was a singular incident," says Suzanne. "I didn't have any idea that this was something going on for many, many, many years and I had no idea that my other daughter had been assaulted by him." Another reason Suzanne didn't think to ask Jessica? Sometimes she was in the room for Jessica's treatments. So when Jessica told her mom Larry abused her too, Suzanne's mind started racing back through Jessica's appointments. Larry had a routine: have Jessica change into loose shorts, lay down on the exam table, on her stomach. Larry would drape her with a towel. "I would be looking at that as, 'Oh, he's respecting her modesty by covering her.' "
Normally, at least one of Larry's hands would be hidden from the parents' view. To them, it always looked like Larry was doing a regular sports massage or adjustment — and the fact that he was working with the lower body wasn't weird, given the injuries he dealt with. What parents couldn't see was the actual abuse — either because Larry's hands went under the towel, or because he would block their line of sight with his body. Here's the other thing about parents being in the room: If you're the kid in this situation, the one who's having this so-called "treatment" happen to you, the fact that your parent is right there makes you think: "Well, this must be OK."
Survivor Kaylee Lorincz recalls, "I think I was just laying there, like, trying to fight back tears, because I was in so much pain and I didn't know why he was doing this to me. "I didn't want to look at my dad sitting in the room like that. I was just so uncomfortable and he would talk to my dad, like, while he was doing this. So I was like, 'OK, maybe there's nothing wrong with this. Like, he's a doctor, it's fine.' 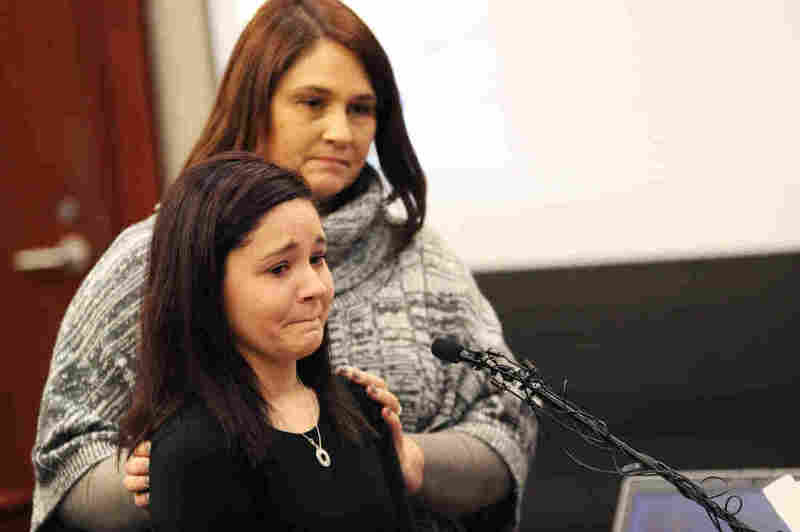 "
When Kaylee saw Rachael's story pop up on Twitter late one night, she immediately sent it to her mom, Lisa Lorincz. "It is the worst feeling I will ever experience as a parent because I knew ... I knew then," says Lisa. That's the moment Lisa knew she'd missed it. Because Kaylee had tried to tell her mom about Larry five years ago, when she was just 13. Right after her third appointment with Larry. Kaylee's dad always went with her to the appointments. Kaylee's mom and dad are divorced. He didn't want to talk on the record. Kaylee remembers, at this third appointment, Larry asked her to do something new: He wanted her to change into a pair of loose, ugly orange shorts. He draped a towel over her lower body, and stepped in front of the table. He put his body between the massage table Kaylee was laying on, and the chair where her dad was sitting. Under the towel, Larry moved Kaylee's underwear to the side and thrust his fingers inside her, while chatting away about weekend plans with her dad. Kaylee says her dad stayed in the room for the full 40-minute appointment. Larry gave Kaylee some exercises to do at home. He taped up her back. "And that was it," says Kaylee. A couple hours after that appointment, 13-year-old Kaylee was in the car with her mom. "I remember it like it was five seconds ago," says Lisa. "I'm in the driver's seat, she's in the passenger seat and she said, 'Larry did something to me today that made me feel uncomfortable.' "
"And I said, 'Well, what do you mean?' 'Well, he, you know, touched me,' and I said, 'Well, touched you where?' She said, 'Down there.' And the whole time you're – you know what she's saying, but you're – you're trying to rationalize that it can't be that." It is the worst feeling I will ever experience as a parent because I knew...I knew then. Lisa got a sinking feeling in her gut. She called her ex-husband, privately, right away, to ask him about the appointment with Larry. He assured her he was in the room the whole time. "And you know, God forgive me, I, I dropped it," says Lisa. "I filed it back in the parenting filing cabinet until 2016. But her instincts were spot on. She knew it wasn't right. She told a parent. She did what she should've done." So many parents feel this way. Heartbroken. Guilty. Pissed off. Absolutely helpless and betrayed. Even that doesn't really cut it. Words just don't really cut it. They are now members of a terrible club: parents who were, unwillingly and unknowingly, witnesses to their children's abuse. A previous photo caption incorrectly named an unidentified coach standing with Kaylee Lorincz as her mom, Lisa Lorincz.